In my opinion, this is not a good approach. 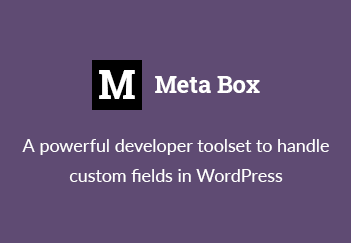 We touched the global WP variable $wp_meta_boxes, spent time finding keys for the widgets, and removed just by unset its value. At a coder’s point of view, I would like a function that handles all of this stuff, or making the job simpler. Fortunately, I found that dashboard widgets are also meta boxes. They just appear in a special place. That mean we can use meta box functions remove_meta_box() on them. To use it, just put it in functions.php of your theme. If you want to keep some widgets, just comment out corresponding lines. I also use the same way to remove any metaboxes from the post, page and links page editors. I also agree.. much easier. Thanks for the post. Thanks for this tip. Now, I can hide unwanted wordpress links from dashboard. THANK YOU! I’ve been looking how to remove the ‘WordPress news’ and ‘WordPress blogs’ from my Screen Options, all night! Finally found this posting and it works like a charm! Would it be possible to put this in a plugin rather than functions.php, so it can be network activated across a multisite network? Better late than never, you can either put this in “/wp-content/plugins/nameyouprefer.php” and network activate it as a plugin, or put it into “/wp-content/mu-plugins/nameyouprefer.php” and it will always run as it’s a “must-us plugin”. I was searching all over for an easy method. I tried this but i think im doing it wrong coz it just messed up…Can someone just break it down for me? Nice code and work for me. By the way, is this code remove for admin too? Yes, it works for all users.